Many donors fail to submit matching gift requests because they're either not aware that corporate giving programs exist or they don't know that their companies offer matching gifts. The burden of promotion falls to nonprofits, which stand to benefit the most from doubled donations but might not have the funds to launch an expansive marketing plan to profit from some of the best matching-gift programs. Keep in mind that matching gifts are just a piece of the fundraising puzzle, and they're best employed along with other strategies, such as prospect research or fundraising events. Individuals contributed over $250 million to charitable causes last year alone, and that number is set to rise in the future. Your nonprofit can only benefit by marketing matching gifts to your donors. There are many ways to promote matching gifts without breaking the bank. These marketing methods will get matching gifts in front of donors' eyes. Newsletters are little electronic presents that you send to donors. The emails might not come wrapped up like a Christmas gift, but when newsletters are opened they should reveal desirable contents. Matching-gift information should be part of those contents. The CMTA does a great job of letting their newsletter recipients know about matching gifts. It provides links to not only its social media sites, but also to more information about matching-gift donations. Additionally, the organization remind donors about what their donations and matching gifts support. An explanation of matching gifts. A list of companies who supported your nonprofit with matching gifts during the past year. Information about specific programs and areas of your nonprofit that matching gifts benefit. Instructions for matching-gift submission processes. Remember to provide a compelling call to action, such as the blue button in the CMTA's email newsletter. Another newsletter option is to allocate a certain amount of space to matching gifts while using the rest of the newsletter to discuss other topics. This strategy means that you can, at the very least, include a matching gift call-to-action as a sort of advertisement on any email. It educates recipients about the foundation's fundraising goal being reached. It tells donors how they can maximize their donations by looking into matching gifts. The email also provides donors with a link that leads to more information about matching-gift programs. It's best to dedicate at least one or two newsletters per year to matching gifts, but including some information is better than none. As long as you're putting the option in front of more donors, you should see an increase in fundraising from corporate giving programs. All of your tech-savvy donors use the Internet, and most of them are on social media. Twitter is one of the largest social media sites and is used by many as a news source. Matching gifts can be news, and you want to promote them to eligible donors. If your nonprofit uses Hootsuite or a similar social media scheduling tool, write up a few matching-gift posts and space them out over the next few months. Test out the wording to see what your donors respond to best. Where does the link in the above Twitter post take a donor? To your nonprofit's designated online location for matching-gift information, of course! A dedicated matching-gift page provides resources for donors both to learn how to submit donation requests and to discover if their employers offer corporate giving programs. When donors click on the calls to action in your newsletters and Twitter posts, this is where the links should take them. Adrian College effectively uses its dedicated matching-gift page to let donors know what matching gifts are and shares a tool that allows them to discover if their employer offers a matching-gift program. 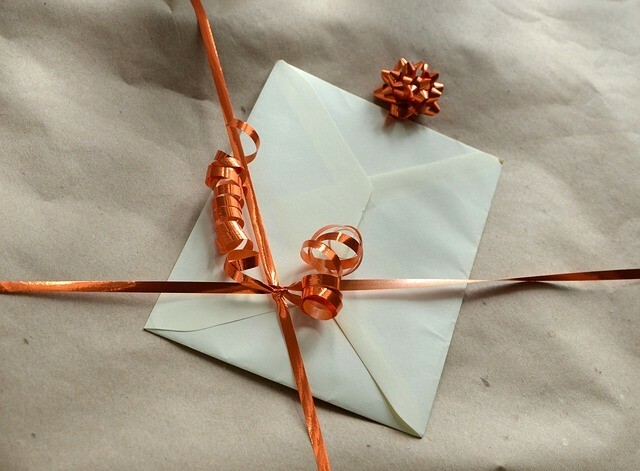 Matching-gift pages should share relevant information, similar to the topics listed for the newsletter. Solicitation letters are a good way to remind donors to check if their employers match employee donations. While you're asking for donations from supporters, you can also ask them to look into matching gifts. Thank-you letters incorporate a matching-gift ask into a note that thanks donors for their contributions to your nonprofit. It's important to say thank you first, but once you've established your gratitude, you can then inform donors how they can give twice as much at no additional cost to themselves. Many donors will be receptive to an ask at this time due to their positive emotions. Your nonprofit can make more people aware of both normal and unique corporate giving programs through deliberate and affordable marketing efforts. Whether you're asking for donations for your annual fund or need to ramp up fundraising for your capital campaign, letting donors know about matching gifts is a good way to raise more money! Adam Weinger is the President of Double the Donation, a company focused on helping nonprofits increase the amount of money they raise from corporate matching gift and volunteer grant programs. Follow Double the Donation on Twitter or LinkedIn.